Plans are underway to make 2019 a spectacular year of artistic collaboration with paint, music, theater, clay and more. As always, all events listed are free and open to the public. You do not need to be a resident of the town to participate and join in the fun. Just check back often for our updated calendar of events. 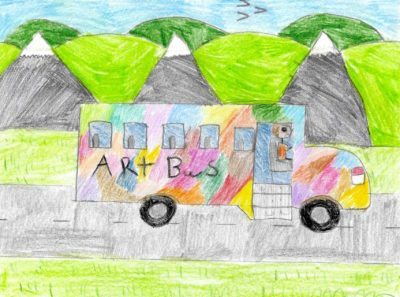 If you’d like to find out how you can be part of our 2019 Arts Bus Adventure, click here.